Why Do Some People Get Gout? Like YOU?! New things are happening the The Gout Killer world! We’ve started a Gout Killer Support Group on Facebook to try to consolidate where and how I can answer questions, do some gout coaching, and generally provide a way to have the #killgout conversation benefit everyone who needs it! Why Am I Getting Gout? Why do some people get gout, even when they pay no attention to what goes in their body, and drink from when the are young, are still drinking in their seventies, and never suffer struggle (no victims here!) with gout? 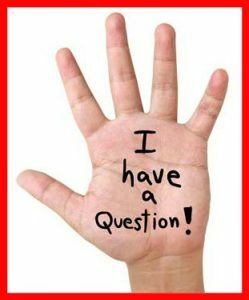 That is the question that one of the hard-charging gout killers came up this week in the TGK Support Group and in my rambling explanation of it, I decided it needed to be a blog post! In our ongoing quest to understand what gout is and what to do about it, this seemed like an important thing to put out there in a bigger way. I copied my reply (with some revision/expansion) to this question below, I hope it helps you. WOW! Good job at killing gout! That is quite a story J, thanks for laying it all out there. I’m always careful about going in the direction of “genes” and “genetics” and “heredity”. Big Pharma has trained us (IMO) to think that everything that goes wrong with our health is because of our genes – like we are somehow victims of our genetics. This is not true. Current nutritional science is showing that our genes are influenced by our environment and then express accordingly; i.e. what we expose ourselves to, which can mean all the toxic crap we eat, breathe, or goes through our skin. But also, it means the biochemical substances produced in conjunction with our thoughts & emotions – these are mainly our hormones and the quality of them, but there are other substances that we can produce that can add to the creation of a toxic inner environment. Why some people get gout and others don’t, is a question of “bioindividuality” – we are all biochemically different…due to what we’ve exposed ourselves to over a lifetime. What those combinations are, in any given person, is completely unique. The best example I always find myself referring to is the environment many of us as baby boomers grew up with; lead pipes, leaded gas, lead paint – lead exposure is known to compromise kidney function and kidney function is a direct factor in how any given human organism monitors, manages, and eliminates uric acid. These kinds of exposures in the life of the young, developing body of a child might not have any measurable consequence until much later in life, after many other exposures (I call these exposures our general and often times very stupid things we do to ourselves, “abuse & neglect”) combine to breakdown the organism (our bodies) at the molecular/cellular/tissue/organ/systemic levels. That is just one example of countless contributing factors that can add up to a life of gout. I hope that gives you a little insight into why some of us (lucky!) 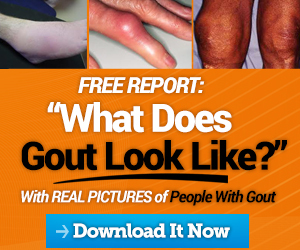 people get gout and others don’t! I use “lucky” sarcastically, but, if you look at it in a different way, we are L U C K Y – gout has caused you and I to change our lives for the better, lose weight, pay attention to our health, and live a stronger, more engaged, productive, and healthier life! And…thank you J. Thank you for asking the question so I could lay this all out there and explain all to myself one more time! I’m going to have to make a blog post out of this! ha! You’ve Got Gout…What Are You Doing About It? 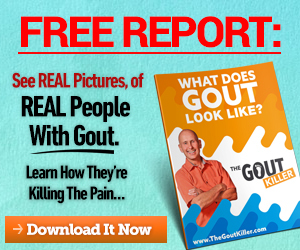 Yes, gout is painful, costly, embarrassing, and inconvenient…what are you doing about it? How are you doing it to regain or improve your health and make your life better? Gout it an option…you don’t have to be plagued by it. 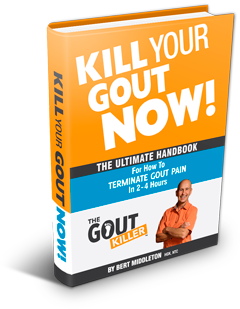 It is completely up to you if you want gout in your life your not – you just have to DECIDE. 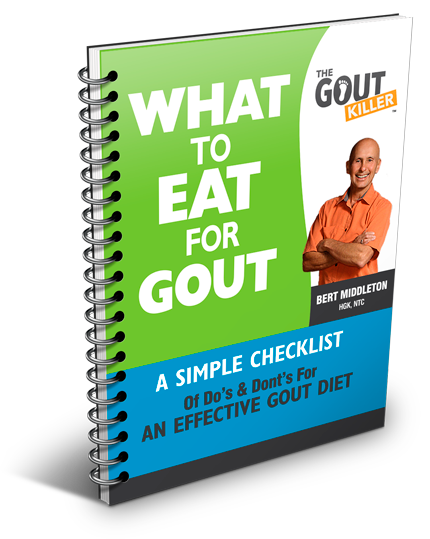 ☆ Remember: The question is not “why” do you have gout…the question is “what” are you going to do about it. Just buy it Paul: killyourgoutforgood.com Let me know how you are doing and how I can help. Are you on FB? Get Support!